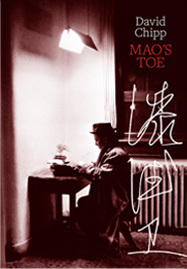 In 2009, Freeman edited the memoirs of David Chipp, which were privately published as a limited edition, under the title, Mao’s Toe. To download the Editor’s Introduction, click here. To obtain a copy of this limited edition, please contact the Development Office at King’s College, Cambridge. David Chipp’s distinguished career as a reporter culminated in his seventeen years’ service as Editor-in-Chief of the Press Association in Fleet Street. However, he regarded the highpoint of his career – and, indeed, of his life – as the thirty months he spent in Peking as Reuters correspondent, the first non-communist Western correspondent to be granted residency by the Communist Government. During that time, he won the respect of the nation’s leaders, soaked up the culture, partook of self-indulgence, had much fun, and stepped on Chairman Mao’s Toe. This private edition contains Chipp’s memoirs of life in Peking, together with six essays that he wrote on the history of English journalism, and a miscellany of reflections on some of the diverse aspects of this remarkable and much loved eccentric by a number of contributors, including Lord Black of Brentwood, Monash University’s Deputy Vice-Chancellor Professor Edwina Cornish, and television personality Dr Christian Jessen. Mao’s Toe was launched by the Provost of King’s College, Professor Ross Harrison, at a reception in the Senior Combination Room at King’s College, Cambridge, on 24 October, 2009, following a Memorial Evensong for David Chipp in the Chapel of King’s College. To read a speech delivered at the launch by Marian Ramsay, a senior curator at the Victoria and Albert Museum, who, as a child, attended Chipp’s famous drag act in Peking, click here. To read a report of the event on The Baron, a website about former Reuters personnel, click here. For a book review by Merlin Waterson, a former Director of Historic Properties at the National Trust of England, which was published in The Garrick Club’s magazine, The Garrick, click here. To read Michael Kirby’s impression of the work in his remarks at the end of an interview he gave for The Agitator, click here. The cost of designing and printing the book was met through the generosity of the Telegraph Group, the Press Association, and Thomson Reuters. This enabled copies to be distributed free of charge. A donation to King’s College, in memory of Chipp, was suggested in lieu of payment. In this way, over £20,000 was raised in his memory for the College, in addition to the £100,000 left to the College under the terms of his will.